Berlioz was one of the towering figures of Romanticism: not only was he a great and revolutionary composer, but also the finest composer of his day and an outstanding critic and writer. Yet throughout his life he struggled for money and his music was persistently reviled in his native France. With exceptional insight and sympathy, David Cairns draws together the major strands of Berliozs life: his tempestuous marriage to the actress Harriet Smithson; the genesis of his famous works, including the Requiem, Romeo and Juliet and his crowning masterpiece The Trojans; his friendships with Mendelssohn, Liszt, Princess Wittgenstein and Wagner; and, finally, his last years haunted once again by personal tragedy. 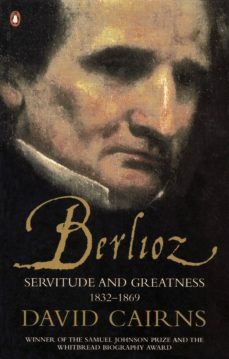 Here, as never before, is Berlioz the artist - and the man.